As part of my living room plan, I'm using toss pillows to add some color and texture to our light brown sofa. I set my budget for pillows at $20 each which is dirt cheap, but not impossible. 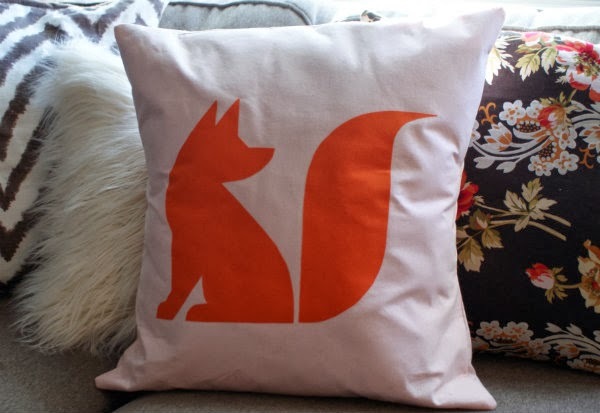 I really wanted a fox pillow, but the one from House of Fraser isn't available state-side and the adorable options I spotted on Etsy are priced around $25. That's reasonable, but I'm determined to stick with my pre-set budget. 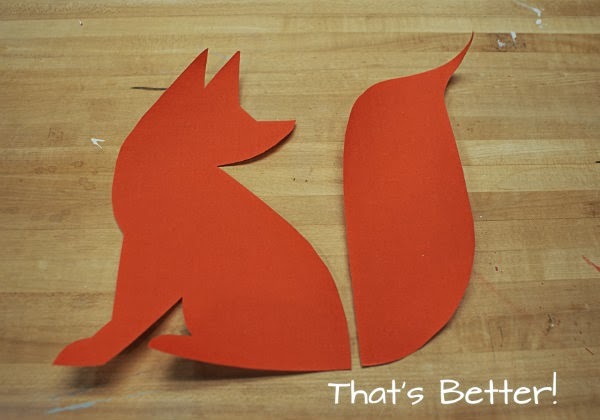 So, what's a crafty girl to do when she can't find the perfect thing? Make her own, of course! This looks fancy, but trust me, if you can use an iron and have basic sewing skills, you can make this. The best part? Well, there are several great parts! First, the cover doesn't require a zipper. Second, it's removable and washable. Third, it only cost ten dollars! 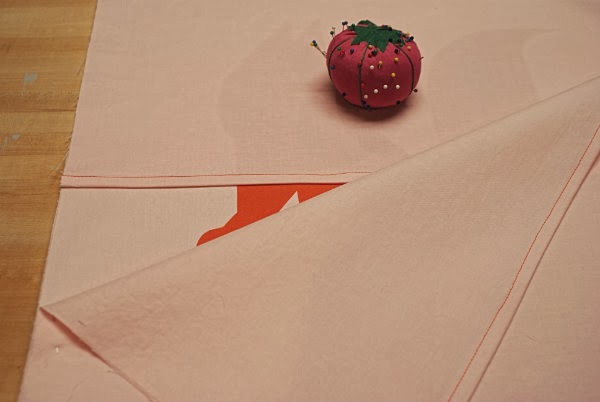 Follow the directions on the package and iron the no-sew fusing to the orange fabric. Find an image you like and print it on card stock. 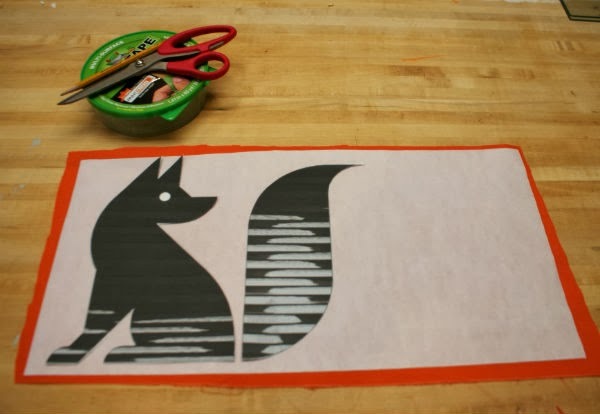 Use a little tape to keep the stencil in place and trace around it with a pencil. Easy peasy, right? Looking good so far...but wait, something's not right...It didn't occur to me that the stencil would be a mirror image! 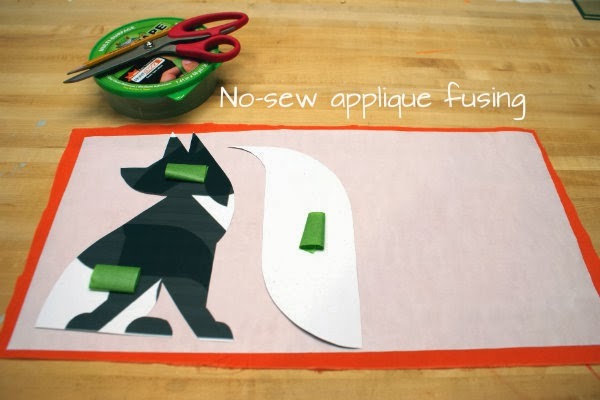 So, place your stencil BACKWARDS on the fusing and then trace around it. 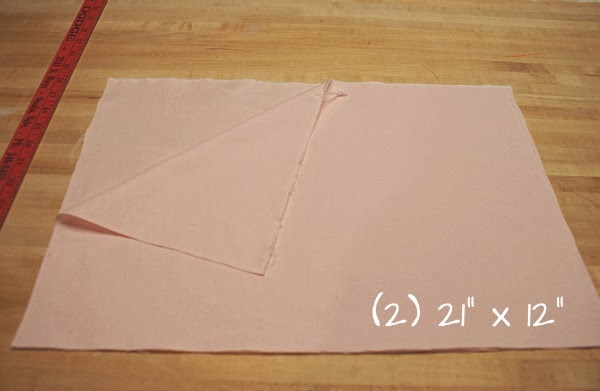 Use your trusty yard stick to measure and cut a 21 inch square out of the pink fabric. 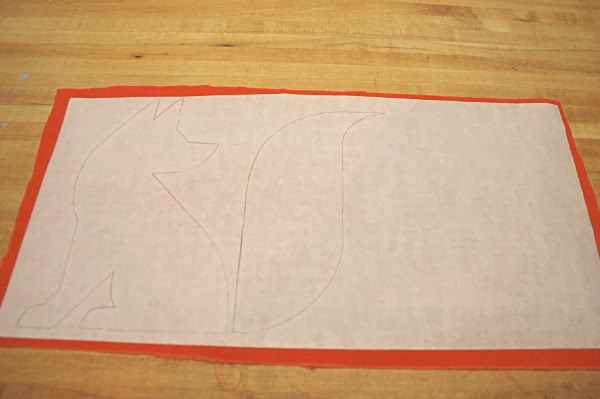 Then peel off the applique backing and center the image on the pink square. 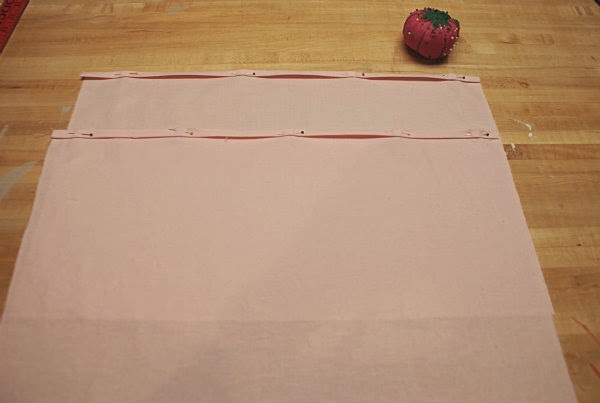 Again, follow the package directions to iron the applique onto the pink square. 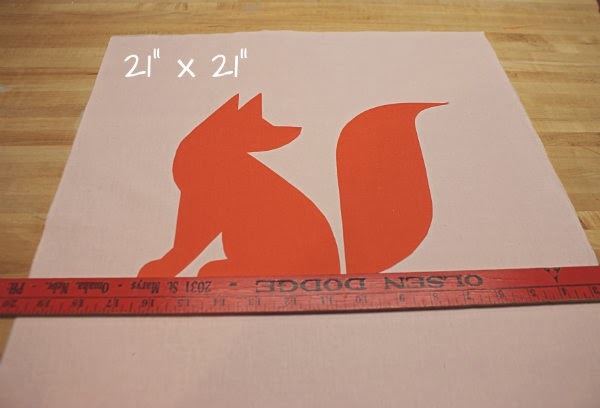 Next, measure and cut two pieces for the back of the pillow that are both 21 inches by 12 inches. These will make a flap closure similar to a pillow sham. fold, press, pin and hem one of the long sides on each of the back pieces. Pin all the pieces, right sides together, and sew them in place. I used orange thread because it's what I had on-hand and I thought it would make a cute contrast. Last Step! Cut diagonally across the corners. 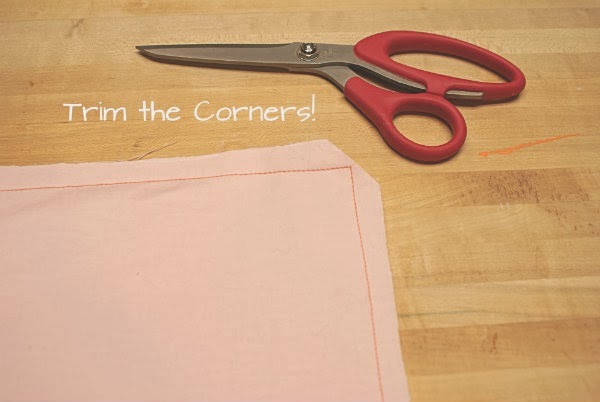 This will help make your corners more "pointy" when you turn the cover right side out. And there it is! 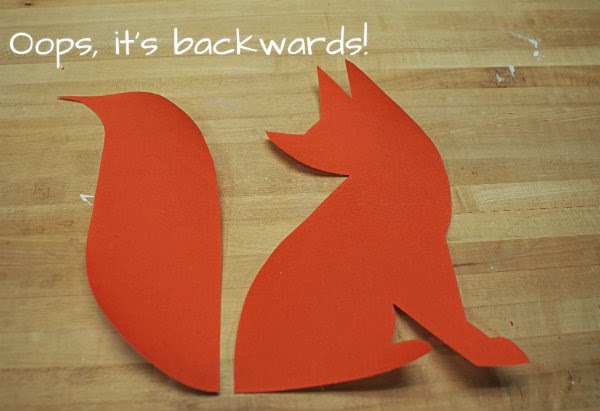 I'm pretty sure this Fox says "I'm adorable!"